For those who live in the cold climate areas and have to deal with winter I have a ray of sunshine for you. Ford looks to change the driving game in winter. Customers of Ford’s all-new all-wheel-drive 350-horsepower Focus RS will now be able to order a fully certified winter tire kit for great driving enjoyment in the snow. 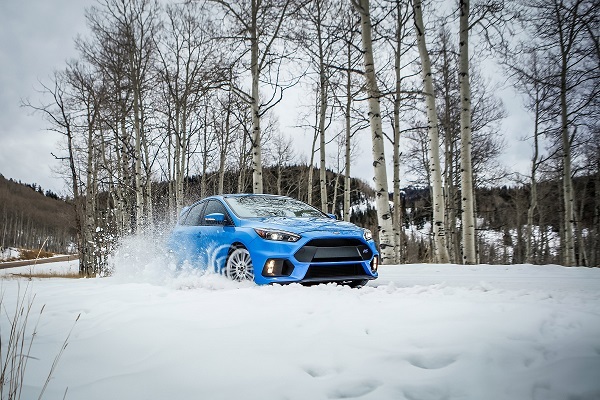 Focus RS Winter Wheel & Tire Package is available only in North America – a $1,995 option. For customers in Canada, the package comes standard on Focus RS. Print article This entry was posted by Art Eddy III on February 17, 2016 at 9:02 am, and is filed under Cars. Follow any responses to this post through RSS 2.0. Both comments and pings are currently closed.